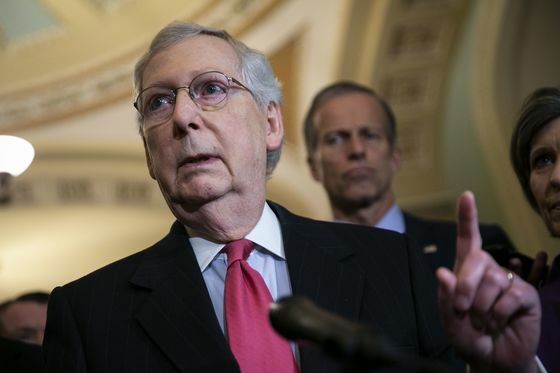 (Bloomberg) -- Senate Majority Leader Mitch McConnell deployed the so-called "nuclear option" Wednesday by changing the Republican-controlled chamber’s rules to speed approval of President Donald Trump’s nominees who have been slow-walked by Democrats. "It is time for this sorry chapter to end," said the Kentucky Republican, who noted the new rules will apply to future nominees by the president. "It’s time to return this body to a more normal and reasonable process for fulfilling its constitutional responsibilities, no matter which party controls the White House." Under new rules approved in a pair of 51-48 votes, debate time on the Senate floor for lower-level administration nominees and U.S. district court judges will be cut to two hours from 30 hours. 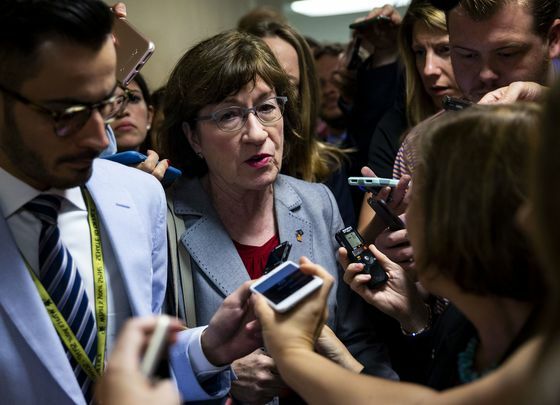 Republicans Susan Collins of Maine and Mike Lee of Utah voted with Democrats against changing the rules. "It’s going to make it easier to rush unqualified and extreme Trump nominees to the Senate before anybody notices," said Democratic Senator Ron Wyden of Oregon. "The legislative filibuster is central to the nature of the Senate," McConnell said. "It always has been and must always be the distinctive quality of this institution."